Speaker : Anand Venkataraman , Head of Product Management & Willem John Keogh, Senior Product Development Manager, STOXX Ltd. Sustainable investing has been gaining prominence and popularity among investors, institutional and retail alike. Our article ESG Surveys Point to Widespread Adoption sheds more light on the results from some of the recent surveys that show increasing adoption, but also highlight some challenges to adopting environmental, social and governance (ESG) considerations in investing. Regulations and legislations are also playing their part in “reforming” the financial system to push ESG principles in the corporate world as noted in our article earlier in 2018, European Union Plans Push to ESG Investments. As asset owners discharge their fiduciary role of responsible investors on the face of increasingly aware investors and an evolving legislative landscape around ESG, they are looking for solutions beyond the traditional market-capitalization weighted indices. 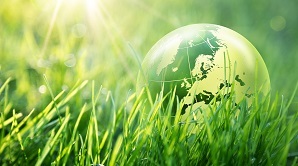 Whilst implementing ESG considerations in investment decision making, investors typically end up creating portfolios that diverge from standard benchmarks, in terms of their characteristics and performance, resulting in unintended exposures and therefore risks, as well as tracking error and additional management costs. In this research, we attempt to analyze the recently launched STOXX® Europe 600 ESG-X Index in order to better understand its characteristics and performance versus the STOXX Europe 600 index in regards to its suitability for passive investment strategies.